It’s Senior Bowl week for the NFL, and all NFL teams are in Mobile, Alabama scouting this years senior class that will be entering the 2019 NFL Draft. For the first time in a very long time the Browns will not be to search for a starting quarterback. Instead, they will look to fill other needs this off-season. During Day one of practices (January, 22nd), Browns GM John Dorsey took some time to speak with reporters on a variety of topics. Here are two of the biggest topics to take away. It will be interesting see how the handle Collins contract. The draft stocked with young talented linebackers this year. It will should be a cheaper, and better option long-term for the Browns. 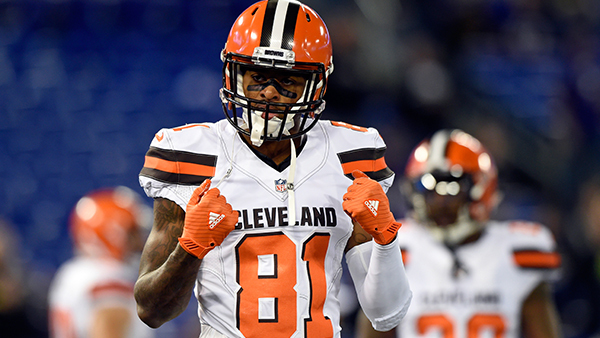 Browns begin talks with Perriman, Robinson, and Higgins: Receiver’s Breshad Perriman and Rashard Higgins have began talks to return to the Browns next season. Both are set to become free agents in march. Higgins has been Baker Mayfield favorite WR since the beginning of training camp. Perriman was signed during the regular season after being released by the Baltimore Ravens. Offensive tackle Greg Robinson is also talking with the Browns about a return. The former No. 2 overall pick came on strong for the Browns and solidify the starting left tackle position this past year.